I believe this picture post was created simply to some up what I was feeling at the time. 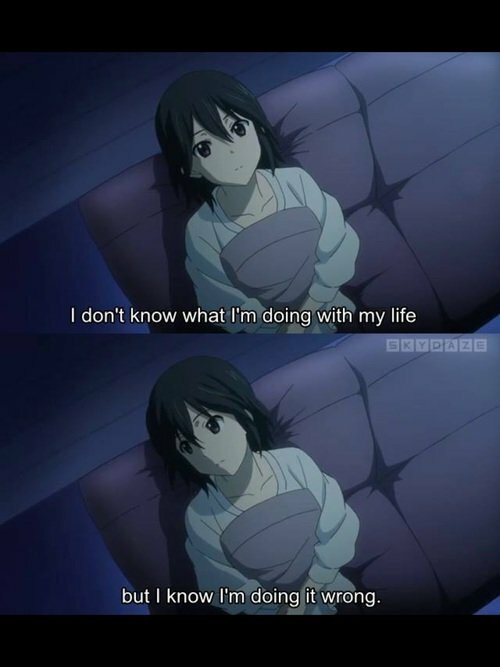 The statement is still sort of true I do know what I’m doing with my life now, I’m looking for paid work so that I can start driving lessons and possibly even go back to studying but I think I am doing it wrong. A while back I went for my first job interview and I think I may have been too honest about my mental state because I didn’t get a call back and I’m still waiting on another job offer to call me when they have hours available.